Multi-Tool – Versatile. Precise. Made for creatives and crafters. Create the perfect finish on your DIY and craft designs with just a single tool. The versatile Multi-Tool is lightweight and comfortable to use for long extended periods of time. The small intricate design lets you hold the tool just like an ordinary pen, allowing a strong and secure grip for maximum maneuverability. Personalise the finish on your arts and crafts with the Dremel Stylo+ on a variety of different materials including: glass, wood, leather, stone and metal. The versatility of the tool allows you to constantly discover new ways to work with your Dremel Stylo+. The Multi-tool has a range of different applications allowing: carving, engraving, polishing, cleaning and sanding. Combined with the Dremel Multi Chuck, you can switch accessories quickly and easily without the inconvenience of collets. 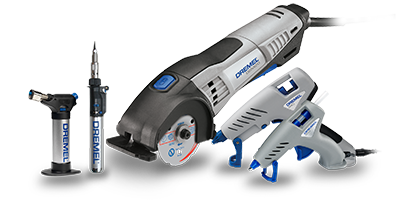 With this tool, Dremel offers you the solution to apply precision with ease to your DIY projects. Variable speed (5,000 to 22,000): For precise applications on creative DIY & craft projects. Compact and lightweight design with 2-meter cord: Makes the tool easy and comfortable to use. Ergonomic grip: Provides comfort and control for maximum precision. Recessed collet lock: Prevents any interfering with the operation. Separate on/off button: Saves your rotary speed settings even when the appliance is powered on and off.